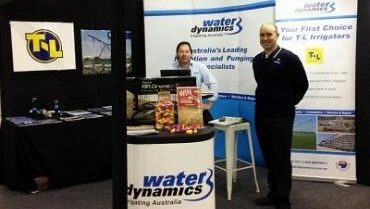 As part of our partnership with Ausveg, Water Dynamics exhibited at the 2017 Hort Connections held at the Adelaide Convention Centre from the 15th – 17th May 2017. This year, Ausveg joined forces with PMA Australia-New Zealand Limited (PMA A-NZ) to combine the National Horticulture Convention and PMA Fresh Connections into the joint industry conference and trade show, Hort Connections. The event attracted over 2,300 delegates from the fresh produce industry and featured more than 150 exhibitors at the trade show and 79 speakers in total at the conference. 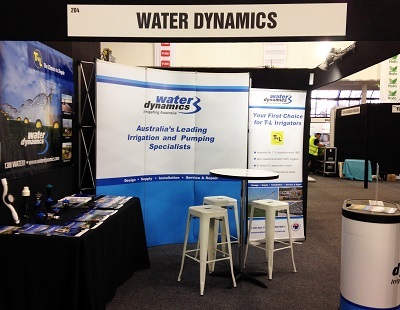 Hort Connections 2017 provided Water Dynamics with the opportunity to meet many horticultural growers from throughout Australia, exhibit our horticultural irrigation product and service capabilities as well as learn more about developments within the horticultural industry. Thank you to everyone who visited our stand at Hort Connections 2017. It was a pleasure meeting you and discussing our horticultural irrigation capabilities with you. We hope to hear from you soon and invite you to contact us on 1800 571 812 or visit www.waterdynamics.com.au should you require further information about our services. 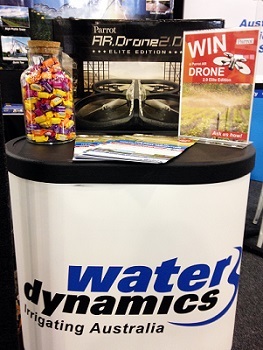 Water Dynamics ran a fun lolly jar guessing game competition at our stand throughout the duration of the exhibition. 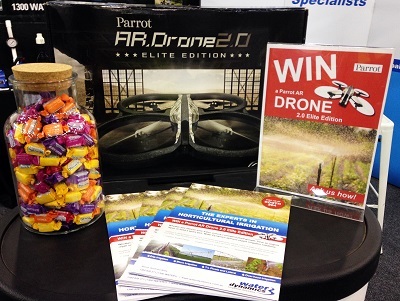 The prize for the winner with the closest guess would win a Parrot AR Drone – Elite edition valued at $299. 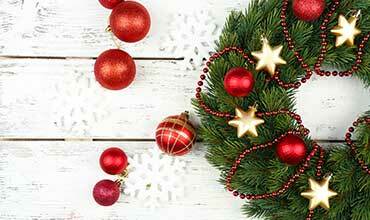 We received so many close entries to our competition! T. Cavallo, for his winning entry – 254 lollies. 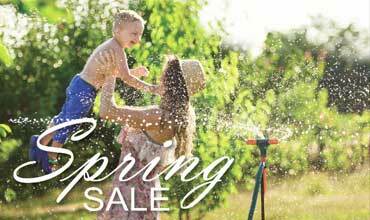 Contact your local Water Dynamics branch or call 1800 571 812 today for more information on horticulture irrigation.